*disclaimer – I get free stuff to review. It is a great blessing. This book included! IT is a small book. I like small books. Get to the point and do it in the shortest amount of time – life is busy. Check! 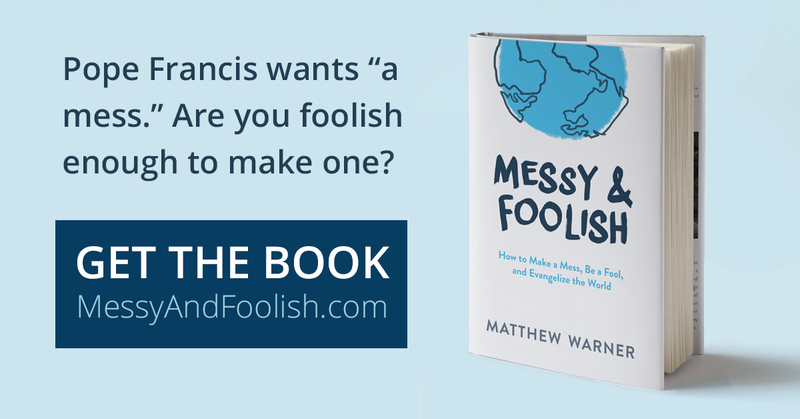 Build the idea of your book on the words of Pope Francis. I like Pope Francis. Talk about getting to the point! I was on Copacabana Beach at World Youth Day, 2013, when Papa Francisco said, “Go!…the experience of this encounter must not remain locked up in your life or in the small group of your parish, your movement, or your community. I want a mess. I want people to go out!” Check! Remind people they have been commissioned by their Baptism to share the good news, to be heralds of the Gospel – that it is not just for their benefit. In fact, if we are not willing to take bold risks -to be MESSY & FOOLISH, the fire ignited by Jesus Passion will be extinguished. … but wait there is MUCH much more… read the rest of my review here! Mommy, Mommy, When you Pray, by Kimberly Cook, is a delightful picture book, written and illustrated by a mother with an eye for colour and an ear for lyrical language. This little book will capture the hearts and minds of children as well as their parents. Images and words work together harmoniously as her colourful illustrations and words vibrate with joy. I smiled as I read every page. 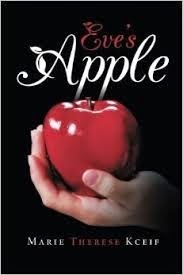 Eve’s Apple by Marie Therese Kceif. A Witness of God’s Faithfulness: Marie struggles to grow in grace and guidance from the Lord while slowly recognizing her own rebellion. She intimately shows us the highs of her aviation, military and automotive careers and the suffering lows of abuse, bankruptcy, and divorce. Her relationship with God grows through it all. Eve’s Apple is a witness of how God gently guides one of His Eves into a slow freeing surrender of a Mary’s trusting yes. This is a journey of hope, faith, and real relationship! 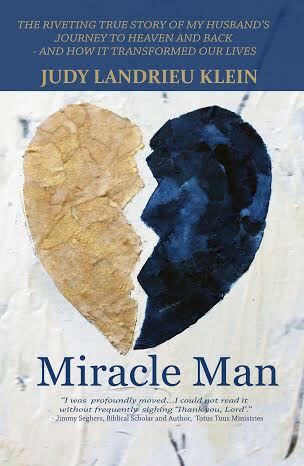 Miracle Man by Judy Landrieu Klein is an enthralling, well-written, dramatic read with flawed, lovable characters who will wriggle their way into your heart. However, this book is much more than a good read; it offers insightful nuggets of wisdom about life, death, marriage and parenting, seamlessly nestled in the narrative tale. Whether you are a seeker, an agnostic or a cradle Catholic, Judy’s down-to-earth language will pierce through your defenses, triggering your own deepest longing for His touch. Writing Trusting God with St. Therese, I have purchased or checked out from the library several book about the saint that I had not read before. I have also revisited some old favorites. There are countless books about Therese, but not all are of the same quality or focus. Here are some of my favorites, in brief. Throughout this year, I hope to give you more detailed critiques of them and others. I Believe in LoveI Believe in Love: A Personal Retreat Based on the Teaching of St. Therese of Lisieux by Fr. Jean C. J. d’Elbee is by far my favorite book on Therese. In fact, it’s one of my favorite books of all time. I have given this book away twice before. I just received it for Christmas for the third time and am rereading it. The point that struck me most on my last reading was that we shouldn’t say, “I’m striving to love God.” Instead, we should simply say, “I love God.” Love is a matter of the will. If we truly will to love, we achieve love. Read the rest of the list at Contemplative Homeshcool. 40 Days for Life: Discover What God Has Done…Imagine What You Can Do (Capella Books 2013, 269 pages) is a book which chronicles the trials and tribulations for the 40 Days for Life campaign as prayer vigil against abortion from its genesis around a wooden table in College Station Texas in 2004 to its spread world-wide. The book is co-authored by David Bereit, a pharmaceutical rep who left comfortable career to follow the call of the Holy Spirit to do His will in uncertain circumstances. The other narrative voice is Shawn Carney, a young Texan who inherits the College Station leadership after Bereit answered the call to work for other Pro-Life organizations in Washington, DC. 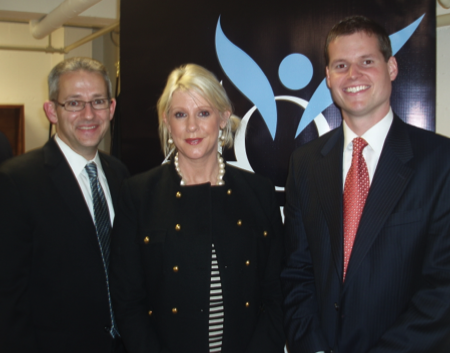 Carney became the Campaign Director for 40 Days for Life, while Bereit later returned to lead the National 40 Days for Life campaign. The 40 Days for Life idea was modeled after several key scriptural moments, like the flood which necessitated Noah’s Ark and Jesus’ Prayers in the Desert before beginning His Earthly public ministry. Similarly, the book followed a structured course. Each chapter is one of forty vignettes, followed by concurrent scriptural passage concluded with a prayer. Presumably, this book was intended to be read over forty days. Perhaps it had a different impact in short, reflective increments rather than reading the contents in several sittings. The power of the faith of Bereit, Carney and of many prayer warriors who participated in the 40 Days for Life is palpable. 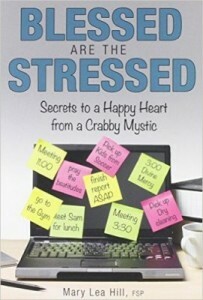 The book does not sugar coat the hardship and anxiety of starting up the campaign. But their testimony shows how the Lord provides. 40 Days for Life also recounts some of the acerbic resistence which Pro-Lifer’s were met with in witnessing the call of their conscience by publicly praying against abortion. Several of the stories are quite striking and seemed pulled from current headlines. The details of the unhygenic conditions, the crusted blood on the linoleum floor and rusted abortion instruments at 72 Ransom Street called to mind the horrific details from the recent trial and conviction of late term abortionist Kermit Gosnell in Philadelphia. The appalling conditions are not isolated incidents in abortion mills, but pro abortion advocates get apoplectic if anything id deemed to impede the so called “right to choose” or more clinically “womens’ reproductive health”. The years of globe-trotting by Bereit and Carney to prayerfully support unborn children allowed for some serendipitious experiences. Shawn seemed to have quite a knack for unexpectedly rubbing elbows with his opponents. The book was mostly conversational in tone, reading almost like an oral history that was culled by their collaborative writer Cindy Lambert. However, a couple of entries started with ambitious introductions but the transitions to their stories seemed forced and rough. 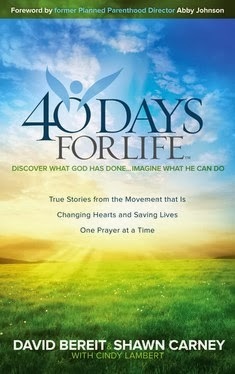 40 Days for Life would be a welcomed bedside daily devotional for prayer warriors committed to the Pro-Life cause. It gives great examples of the power of prayer to overcome seemingly insurmountable odds to defend life. The book gives many perspectives on how abortion affects the unborn child, the often grieving abortive mother, the father, the extended family and the community. If only people spouting pro-choice propaganda would choose to the time to read 40 Days for Life, one wonders how many hearts of stone would turn to flesh. When I saw the book Francis Man of Prayer written by Mario Escobar pop up on the Booksneeze reviewer program, I was immediately thrilled to learn more about our new pope. We all know that the surprise resignation of Pope Benedict XVI made news around the world and I believe we were all watching to see who would succeed him. Our first glimpse of our newly elected Pope Francis was a revelation as well. He appeared shy as he made his simple request of all who were watching “Please pray for me.” I had read about his humility and desire to serve the poor but now I felt by reading this book, I would learn more about the man himself. While reading this book, I had mixed emotions but, overall, I was a bit disappointed. 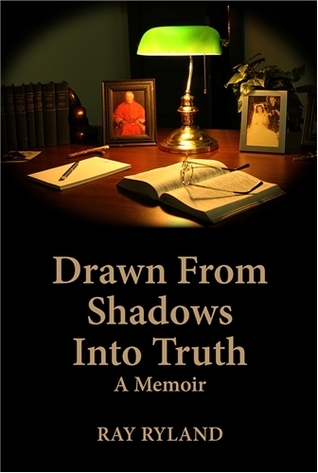 On the positive side, he did include a good biography of Jorge Mario Bergoglio and selected ten quotes by Pope Francis that reveal his beliefs. He also listed an extensive bibliography of where he found his information. He did educate me on the fact that very few popes have come from religious orders. I didn’t know that and he also included a list of the ones who came from the Benedictine, Augustinian, Dominican, Franciscan, Cistercian and Jesuit Orders. Of course, it was well known that Pope Francis is the only pope from the Jesuit Order of Priests. I also appreciated his chapter on the evolution of the papal election and background information on previous conclaves. But I couldn’t help wondering how skewed it might be since Pope Francis was elected on March 13, 2013 and this book was published on May 14, 2013. Gathering information to compile a book that needed time to be edited and published meant Mr. Escobar wrote this biography, in a very short time period. I couldn’t help but wonder if there was a competition from the publishers on who would release the first book on Pope Francis? What disappointed me is that I feel it was a book on facts rather than the man himself. The ten quotes he chose to include in his book are ones I’ve heard fluttering around the various media outlets and I do find hope and inspiration from them. But it wasn’t anything new and revealing. Of course, he didn’t have time to wait for an original quote but had to use what was already out there. He obviously never met Pope Francis and interviewed him for his book. That would have brought a warmth and interesting spin to it. Perhaps I had unrealistic expectations of this book when only a few short months ago, no one here in US even knew who he was. Would I recommend this book? Not as a must read or as a type of book one can’t put down, but I would for someone who wants to learn more about the papal office and it’s history. I was given a complimentary copy of Francis Man of Prayer from Booksneeze in exchange for my honest opinion.